The Georgia Environmental Protection Division (GEPD) Land Protection Branch hosted a stakeholder meeting on July 10, 2017 to discuss the proposed rule changes for the calculation of environmental cleanup standards in accordance with the Rules for Hazardous Site Response. Representatives from Oasis Consulting Services attended this meeting to review and comment on these proposed changes. During this meeting, proposed changes to the rules themselves were presented as a redline document, and both proposed changed to the existing default Risk Reduction Standards (RRS – the HSRA defined term for cleanup levels) and changes to the specifics for calculating site specific RRS were discussed and presented in tables for stakeholder review. GEPD will be accepting comments on these proposed changes, and they will subsequently be presented to the Georgia Department of Natural Resources (GDNR) board for approval. If they are presented and approved later this year, it is expected that these changes will be rolled out sometime in 2018. 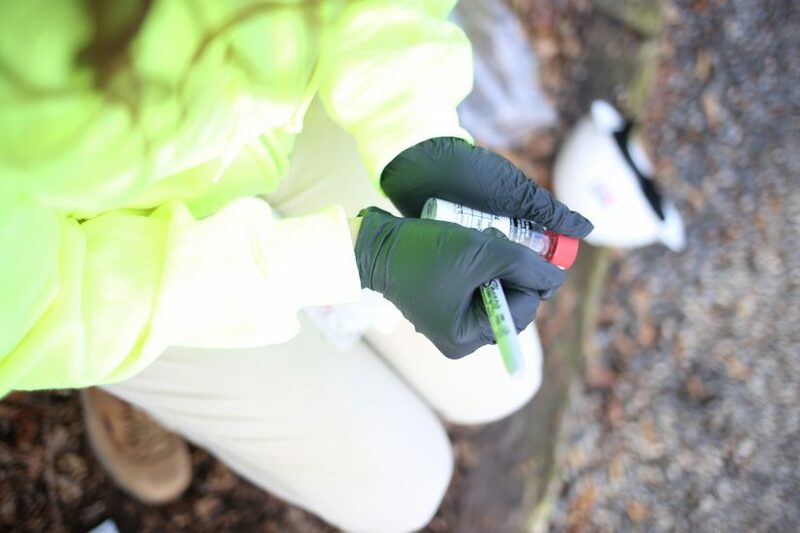 The proposed changes involve revisions to both the default and site specific RRS used to determine the need for corrective action for properties on the Georgia Hazardous Site Inventory (HSI). The default residential and non-residential RRS (Type 1 and Type 3) will be revised based on toxicity data (and published online rather that in the rules directly), which has changed since the original rule was adopted in the late 1990’s. The revised Type 1 RRS for soil will not include the potential to use the Type 1 groundwater RRS times a factor (100) as a possible RRS. When looking at these proposed changes, we see that some of the RRS will decrease (chlorinated solvents in particular), and some will increase. Generally, this may force more responsible parties to use Type 2 and 4 (Site Specific) RRS to both determine initial compliance and to develop reasonable cleanup criteria for corrective action. Fortunately, there are also significant changes in the determination of these site specific RRS as well. The existing rules have a complex decision tree used to determine Type 2 and 4 RRS which considers acute and chronic toxicity, exposure pathways, and for soil, leachability, determined by TCLP or an approved alternate leaching protocol. These ‘calculated’ values also mandate the use of GEPD defined exposure criteria – criteria that mandate considerations that are in many cases unrealistic like considering all groundwater as a potable source. As a result, the existing ‘site specific’ RRS in many cases give responsible parties unrealistic and untenable cleanup criteria. The proposed changes include several revisions to both the use of defendable site-specific exposure criteria (i.e. calculation of a groundwater RRS based on non-potable exposure where such potable use is prohibited or unrealistic). Also, soil leachability criteria will be revised to include to potential to use actual site data to define leachability – if a site has groundwater that continues to meet the appropriate RRS over time, the existing soil concentrations can in effect be considered as the leachability value. Additionally, soil averaging studies will be accepted for review in determining direct contact soil RRS compliance. And, engineering controls will be approved for Type 4 soil and groundwater RRS compliance determinations, unlike the present requirement of a generally difficult Type 5 determination. The proposed changes to the now about 20-year old HSRA rules generally parallel the progress seen in the environmental cleanup industry since the original rule was issued. These changes will bring some much needed flexibility to the determination of appropriate site-specific RRS and bring HSRA more in line with both risk based rules in other states and with the current Georgia Voluntary Cleanup Program (VCP). If you would like to learn more about how these changes can affect your project or more about how to navigate the Georgia Re-use and Redevelopment Program (Georgia Brownfield), please contact Patrick Kelley at pkelley@oasis-cs.com.